Among frontliners, HDFC Bank, Hindalco Industries, Bharat Heavy Electricals, Housing Development Finance Corporation, Jaiprakash Associates and Bajaj Auto were down 4-5%. Among Mid-cap stocks, Gujarat NRE Coke, ARSS Infraprojects, Sintex Industries, Shree Renuka Sugars declined 6-8%. The Sensex opened higher by 22 points at 19714 and quickly hit the day?s high of 19720. The index slipped from its highest level in initial trade and traded in the red amid volatility. Weak Asian cues and all-round selling dampened the sentiments, which led the Sensex to trade with losses in the morning session. The index traded with heavy losses in the afternoon session dragged by the negative European markets. Aggressive selling across the board and also in index heavyweights led the Sensex to hit the day?s low of 19158 in late trade. 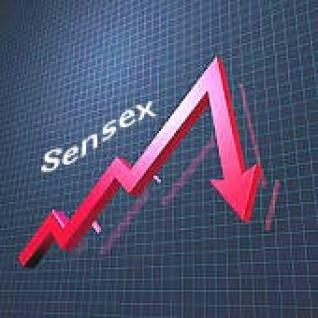 The Sensex closed at 19224, down by 468 points and the Nifty shut 142 points lower at 5763.